is a minority owned, woman owned Title Company specializing in real property litigation, full service title, escrow and real estate settlement transactions. Equipped with a team of attorneys and property title specialists, every step of the closing process is conducted in-house from the title search, to escrow, to the closing table. Born in Jackson, MS, received her Bachelor’s degree in Psychology from Tougaloo College in 1999. Upon graduating from Tougaloo College, she entered the Master’s of Business Administration program at Howard University School of Business and received her MBA in 2001. Ms. Blackmon then continued her education at Howard University School of Law where she received her Juris Doctorate in 2004. In 2010, she became a licensed Title Insurance Agent. 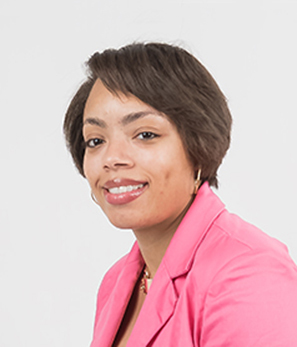 Janessa handles civil and domestic litigation, including automobile accidents, medical malpractice. She is a member of the Jackson Association of Realtors, the Mississippi Association of Realtors and the National Association of Realtors, Leadership Greater Jackson and The Charles Clark American Inns of Court, the Mississippi Bar Association, Magnolia Bar, Georgia Bar, Mississippi Bar, Delta Sigma Theta Sorority, Inc and Woman for Progress. She is admitted to practice in all courts in the State of Mississippi and Georgia. She is an experienced and dedicated lawyer who specializes in the often times complex fields of real estate, family and probate law. Born in Newark, New Jersey, received her Bachelor’s degree in Political Science from Tougaloo College in 2001. 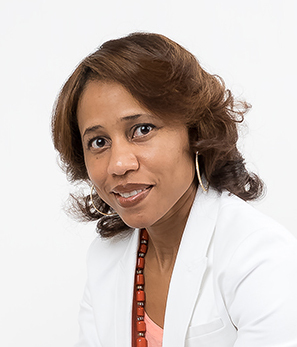 Upon graduating from Tougaloo College, Ms. Carr, who always had the desire to practice law, attended Mississippi College School of Law and received her Juris Doctorate in 2004. In 2010, she became a licensed Title Insurance. She represents developers in all phases of the acquisition, development, financing and disposition of commercial properties. Additionally, she also regularly represents borrowers with loans involving the Fannie Mae, Freddie Mac and HUD/FHA loan programs. She is a member of Women for Progress, the Jackson Association of Realtors, the Mississippi Association of Realtors, the National Association of Realtors, Leadership Greater Jackson, and The Charles Clark American Inns of Court, Alpha Kappa Alpha Sorority, Inc., Professional Standards Committee for Central Mississippi Board of Realtors, the Georgia Bar and the Mississippi Bar Association. She is admitted to practice in all courts in the States of Mississippi and Georgia.